DocuPRO embedded client for Ricoh SOP offers secure access to services | Industry Analysts, Inc. Earlier this year Inepro introduced its new DocuPRO embedded client for Ricoh SOP devices. The very well-received Android software application will enable secure access for user services such as print, copy and scan. Besides these features and an integrated time registration system, customizable background/colours and the option to self-register the new update of the graphic user interface also offers print from USB/scan to USB (and payment for it), easy copy & scan, a remote deployer and much more. 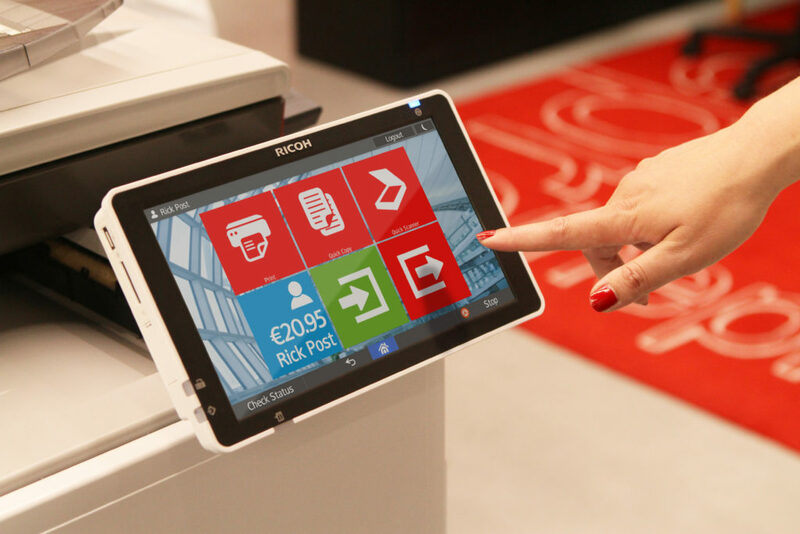 The DocuPRO embedded client for Ricoh SOP offers extra operating options that will enhance productivity and usability. The easy to operate Android tablet-style user interface for flexible and secure printing, copying and scanning has now been updated and consists of 5 separate apps: the launcher, a card reader plugin, easy copy, easy print and easy scan. Choose your customized background, colors or tiles, enable Follow Me&You printing or install the card reader plug in to program or update your Inepro SCR708 RFID reader remotely. Just pick or combine the applications which are of added value to your specific workflows and your customers. On average companies have more than 1 Multi Functional Printer, some operate in different buildings or even in different countries. If this is the case, deployment of new or updated software can be a time consuming and extensive task for your IT-department. To save you time and money Inepro developed the Remote Embedded Deployer (RED). This tool enables you to install and configure apps and restart your devices remotely with just one click. By importing a list of IP-addresses or scan for devices you can execute this action for several SOPs simultaneously. Through these simplified processes, everyone can complete the task! DocuPRO Embedded Client for Ricoh SOP 7.12 will be available from September 12th 2017. For more information, please visit: www.inepro.com/en/docupro/embedded/ricoh-sop, e-mail sales@inepro.com or call us at +31 (0)252 744044. This entry was posted in Ricoh and tagged DocuPRO, ricoh by IA Staff. Bookmark the permalink.